We all share the same home: Planet Earth. This world is surrounded by an atmosphere, which is very thin and relatively small. This “aerial ocean”, as biologist Alfred Russel Wallace described it, has different layers that protect us from the incoming solar radiation. In 1958 Charles David Keeling started measuring the amount of carbon dioxide [CO2] present in the atmosphere at the Mauna Loa Observatory. The scientist found that the amount of CO2 emissions were growing significantly in our planet, going from almost 320 parts per million [ppm] in 1960 to more than 400 ppm in 2015. The figure below shows this increase. 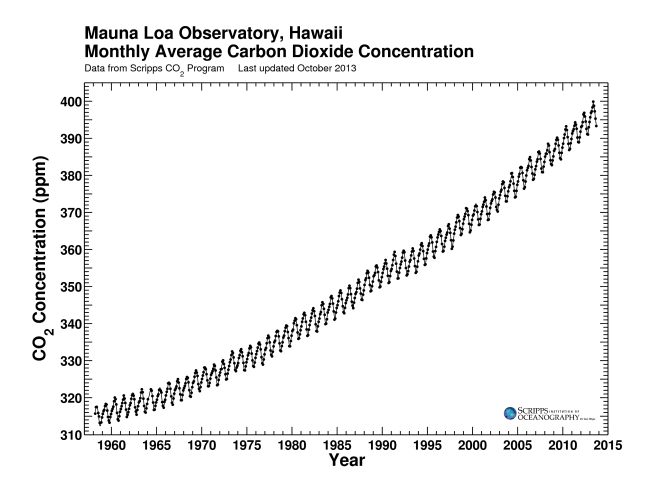 Keeling curve. Mauna Loa Observatory, Hawaii. Analyzing ice sheets NASA went even further back in time and measured the amount of CO2 in the atmosphere since the year 400,000 BC. 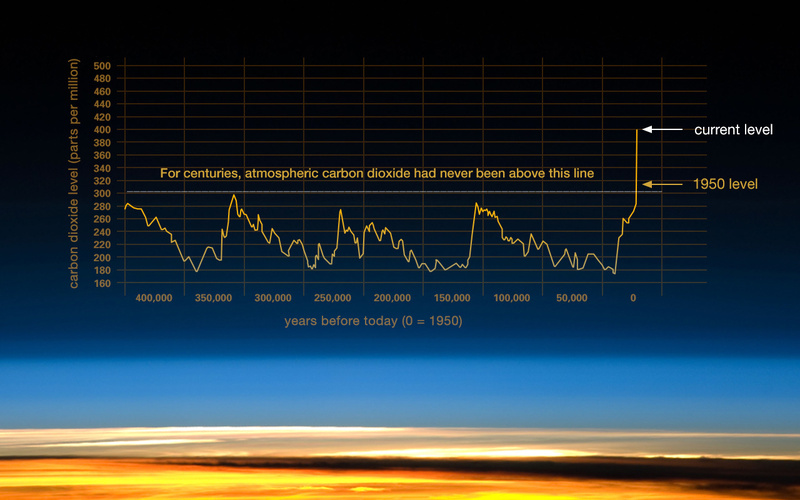 What NASA found is stunning: from 400,000 BC until 1950, CO2 concentration in the atmosphere had never surpassed 300 ppm. The Earth has natural cycles that release CO2 [such as volcano explosions, the decomposition of dead animals, or the death of plants in winter] and natural cycles that reabsorbCO2. This means that there are natural fluctuations for the amount of CO2 in the atmosphere. However, in 1950 something seems to add to this “natural process”: human intervention. See chart below. The scientific consensus is that CO2 levels are increasing because we humans are emitting CO2 at an alarming pace. From 1960 to 2016, we have increased the amount of CO2 levels five-fold! Who is responsible for these emissions? Today, China is at the top of the list, followed by the United States, the European Union and India. However, one should also consider per capita emissions, as well as the total CO2 emitted throughout history to have a better and fair understanding of emissions. Justice is important while analyzing emissions, but let us also not forget that being fair about emissions cannot mean giving permission to emit more. Find below two charts that show emissions from the top 4 emitters measured from 1960 to 2014: first chart shows the total CO2 emissions [kt], while the second chart shows the metric tons per capita emissions for the same countries. So, what is the problem about increasing CO2? In three words: the greenhouse effect. We all know what a greenhouse is: a little glass house, where we have plants and use solar energy to make them grow. The concept doesn’t change much for the Earth. Applied to our planet, the glass for the greenhouse effect is our atmosphere. The Earth receives radiation from the Sun (this is a shortwave radiation). Some is reflected (this is called the Earth’s albedo) and some is absorbed by the Earth. The energy absorbed by Earth will also be reflected to space (this is long wave radiation). 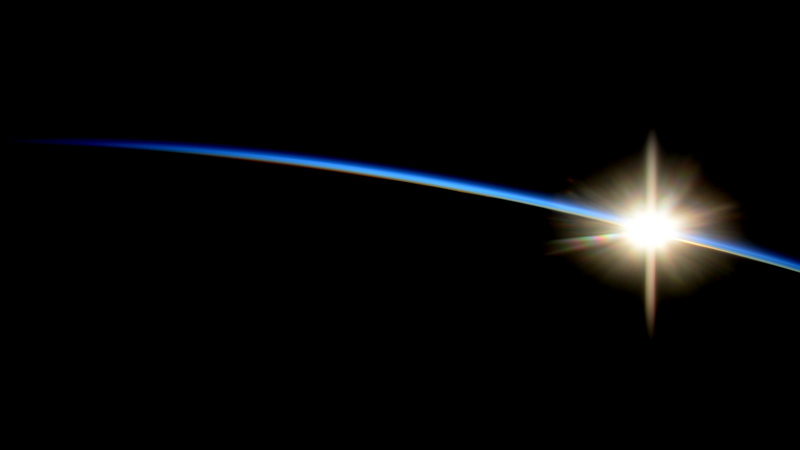 If there were no greenhouse gases, all of the radiation absorbed by the Earth would go back to space. However, since there are greenhouse gases, some of this radiation stays in the Earth, making the planet warmer as a consequence of Earth’s energy in-equilibrium (more energy is being absorbed than released). Below is a video with a more detailed explanation of the greenhouse effect. CO2 is a greenhouse gas, and one of the most important ones. Increasing CO2 traps more radiation in our planet, which rises temperatures. This is known as global warming. Other gases with a big impact on the greenhouse effect are nitrous oxide and methane. Global warming has severe consequences: the oceans have become more acidic, ices are decreasing notoriously, sea level has been rising and weather is becoming more and more extreme. Dr. Saikawa emphasized that not everything is lost. 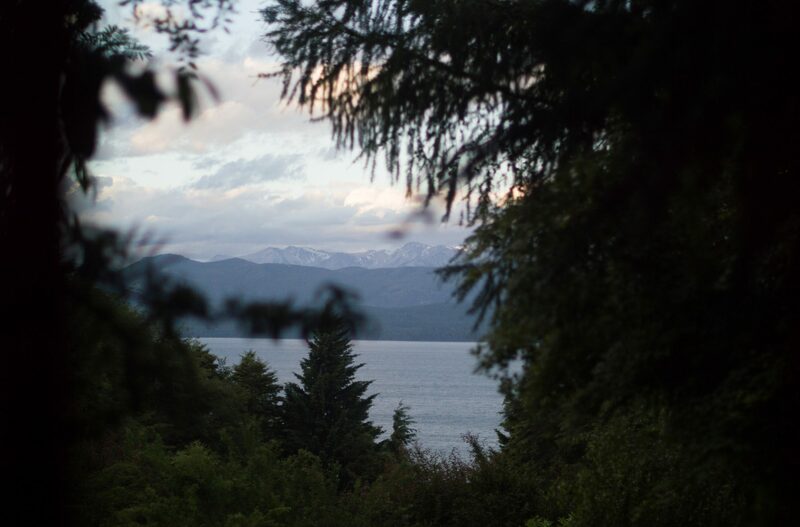 There are several decisions all around the world to face climate change. The biggest milestone for this path was the Paris Agreement signed in the Conference of Parties in 2015, which is a legally binding international agreement where all (almost all) countries decided to reduce emissions. But this is not enough, Dr. Saikawa stated, “Now that science is ready, we should be doing more commitments for the future”.